Smart pet parents love Pawise pet products for their quality and affordability - while pets love Pawise for their fun range of toys and more! 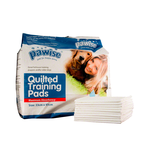 Perfect for house-training young puppies or supporting older dogs, this bulk pack of quilted training pads provides maximum absorbency and a leak-proof design for hassle-free clean up. After something different? 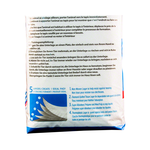 See our entire range of toilet training products. Providing a place to toilet is a great way to dogify your home. Learn more about handy ways to dogify your apartment here. Actually bought these to line the bottom of our birds cage. Perfect Size for the cage and love the price for a bulk pack. They're not very big or thick so had to use a lot of them and puppy chewed them a lot of the time. Also should've taken more care when buying and opted for pads with sticky pads to keep them in place. The puppy pads are tiny. I should've checked the size, just thought they would be like all the other puppy pads we've had but no. 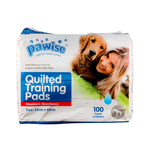 Otherwise they are ok, not very thick but fairly absorbent, good for 1 puppy pee.